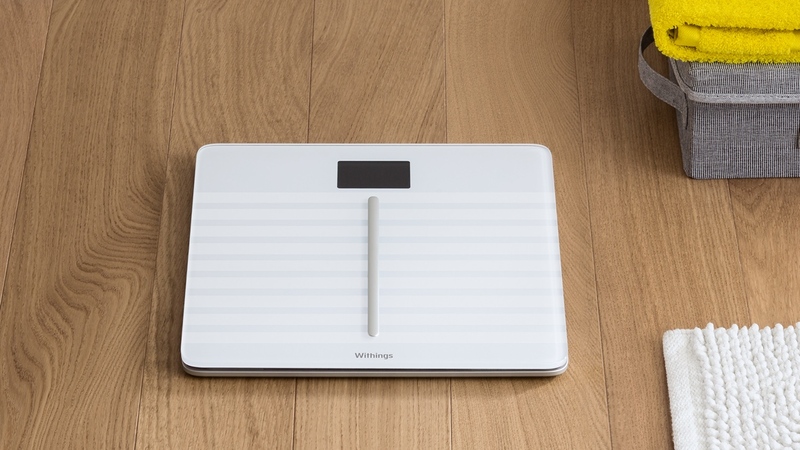 After Under Armour's smart scale-packing HealthBox and the Polar Balance both landed this year, Withings has decided to join the party with the Body Cardio smart scale. The now Nokia owned company is no stranger to the connected body fat analyser game with the Cardio its fourth generation weighing setup. Measuring in at 0.7-inches thick with a flat aluminium base and heat-tempered glass, the Cardio is able to provide accurate readings on any surface, including wood floors, tiles or carpet. The Under Armour Smart Scale in comparison is designed to worked on entirely flat surfaces. It's powered by a built-in rechargeable battery that can last up to one year before it needs powering up. Like the majority of smart scales, the Cardio can measure weight, BMI, body composition (fat, muscle, water and bone mass) standing heart rate along with a new metric that no other scale currently offers. That new metric is Pulse Wave Velocity (PWV) and is apparently a key indicator of cardiac health and is commonly associated with hypertension and risks with cardiovascular health. PWV is defined as the speed at which heartbeat-generated vibrations spread out along the arterial wall. A high PWV reading can indicate stiff arteries or high blood pressure. While PWV tests are usually reserved for clinical environments, the Body Cardio is able to deliver PWV readings based on a user's age and the time it takes for blood to flow from the aorta in the heart to the vessels in the feet. All of the weight data is synced wirelessly to the Withings Health Mate app letting you see your PWV over a period of time as well as a clear indication of whether the readings are normal or something you need to worry about. The Withings Body Cardio is available to buy now from Apple Stores and Withings.com for $179.95. It'll be available from additional retailers from 7 July. That's roughly around the same price as previous Withings smart scales and in line with the likes of Garmin and Fitbit. Withings is also introducing a new Body smart scale, minus some of the features included in the Body Cardio, for $129.95. You can also pick that up from a variety of retailers from today.